A nickname for a cup of coffee. That’s all there is to it! Example: To help wake myself up in the morning, I’ll take a shower and then I’ll head to the kitchen to pour myself a piping hot cup of joe. Coffee. People drink this to help wake themselves up in the morning. After waking up in the morning, millions of people choose to drink a hot (or cold) cup of coffee. Why, though, is this drink referred to as ‘a cup of joe’? Indeed, how did coffee get this nickname? Well, the origin of this phrase is uncertain. However, there are a few theories. One of them is as follows: Josephus Daniels, who was Secretary of the Navy, banned U.S. Navy ships from serving alcoholic beverages in the year 1914. This ban led to sailors consuming more coffee (among other drinks). 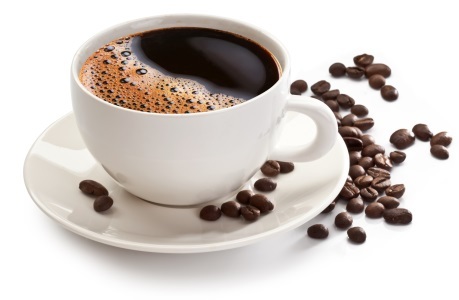 Since Josephus Daniels was responsible for the ban and thus perhaps being partly blamed for the growing intake of coffee, they (the sailors) nicknamed the drink after him, thus it became ‘a cup of joe,’ Joe being short for Josephus. This theory, however, is considered to be unlikely. A more plausible sounding theory is mentioned at Snopes, where it’s explained that the word ‘joe’ can simply mean ‘an ordinary man.’ For example, perhaps you’ve heard the term ‘an average joe.’ This term is used to describe someone who is thought of as being an everyday, ordinary kind of person. Thus, nicknaming coffee as ‘a cup of joe’ would indicate that it’s a drink for the common man, or the average person. Here are some examples of this phrase. This place has the best tasting coffee in town; I’ll definitely be ordering all of my cups of joe from this spot in the future! This morning, I made myself a steaming hot cup of joe; it’s the only drink that fuels me for the rest of the day. Note: This site is full of meanings for phrases like the one mentioned above! We even have an alphabetical list containing a number of common idioms, from A to Z, that can help you navigate around this site to find the saying that you’re looking for. Also, I want to mention this: The origins for a number of sayings are uncertain, like the one above. What’s provided in cases like these are plausible theories that are about how a phrase may have originated. Or, instead of listing theories, I might just list the oldest known quote of an expression. These usually come from old poems, books, or newspapers. The quote is to give you an idea on how old a saying is, so for example, if I quote a newspaper from 1835 because it uses a certain expression, then the expression must be at least that old. This common phrase means that someone was close to successfully doing something, but they fell short at the end. Where did this expression come from? Find out!